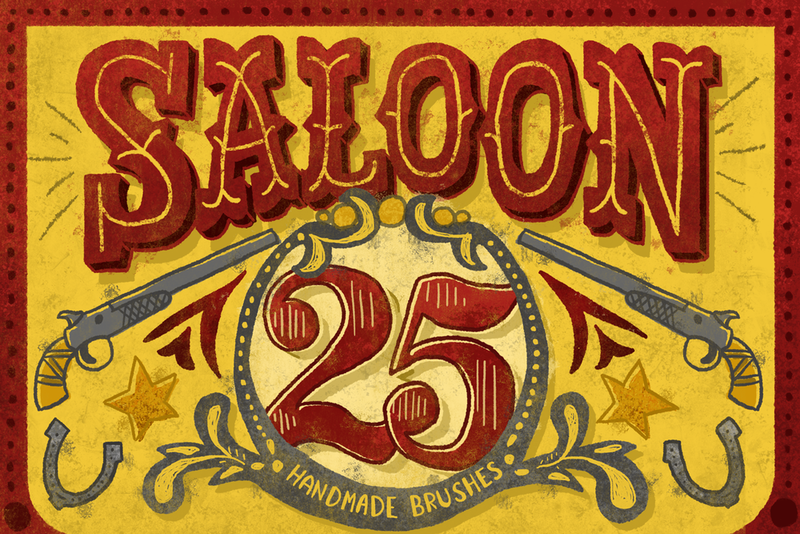 For the last couple of weeks I have been teasing Saloon, and now my latest handmade Photoshop Brush Collection is FINALLY AVAILABLE! Take a trip back in time with this wild west inspired Photoshop brush collection! Every single brush in this collection was handcrafted with real scanned-in textures. The rough and dirty grit captured in these brushes would make any cowboy proud! 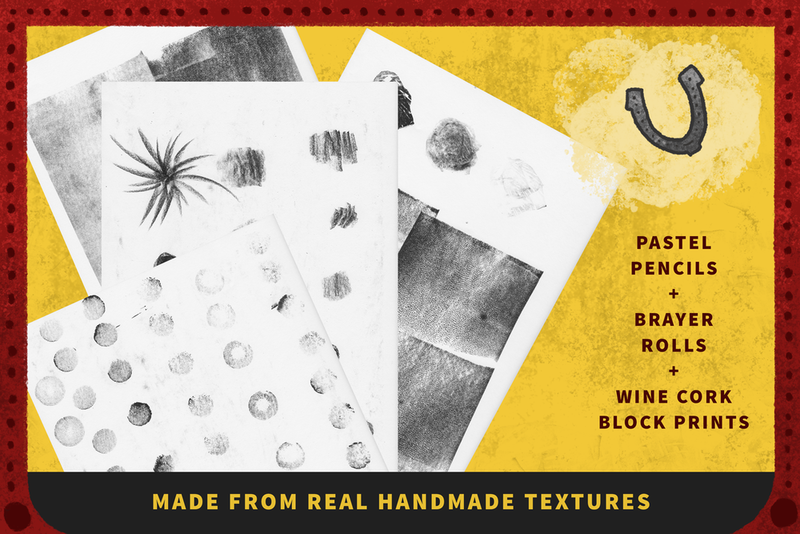 These photoshop brushes feature rich pastel pencil, block printed wine cork, and brayer roller textures. The hand lettered Saloon cover, cactus, and cowboy boot illustrations were created using ONLY the handmade Photoshop brushes in this collection! 5 liners/detailers + 1 simple sketch brush for sketching, outlining, and final touches. 10 texture stamper brushes that add depth to your work! 9 textured brushes perfect for shadows, accents, shading, and more! Cowboy Boot by Lauren Hodges. Illustrated entirely with the Saloon Photoshop Brush Collection. Try before you buy! Download a FREE sample brush from my Saloon Photoshop Brush Collection. You'll love the rich texture and detail with the Tumbleweed Texturer! You may not resell my brushes for profit or claim them as your own. You may not redistribute files to others. This file is for your use only.